My sister was planning a “princess” party for a bunch of little girls. She had the idea of making a pin-the-kiss-on-the-frog game. 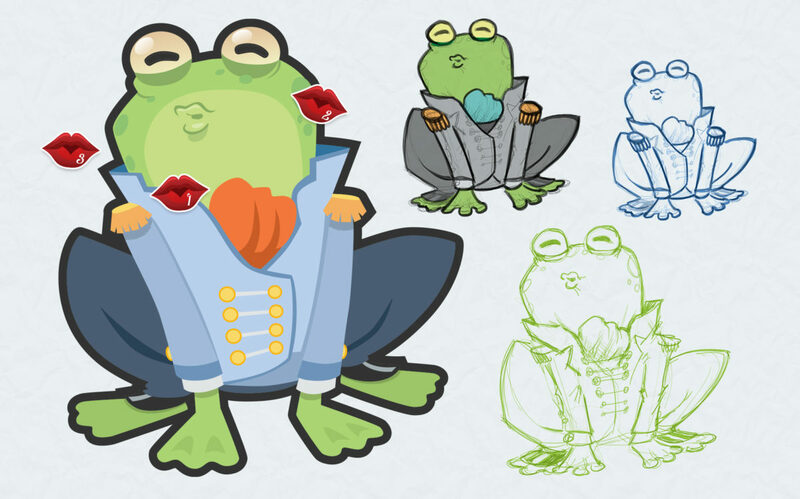 So, she asked if I could draw a frog prince for her party. I did a quick search online to see what might already be out there and really wasn’t too impressed with what I found. Of course, there’s no shortage of party games and ideas on Pinterest, but I didn’t see anything that I thought was worth recreating for her party. So I decided to make my own, from scratch.